There are a ton of statues in Central Park and almost all of them depict famous men. 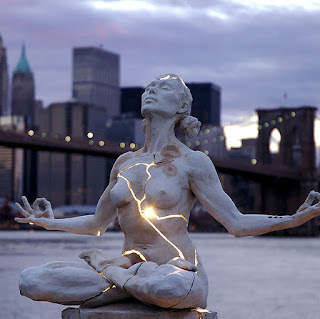 So it was nice to learn about this statue today, Expansion by Paige Bradely. Although I'm not sure if it's in a permanent location or not. There's an entire Wiki page devoted to Central Park sculptures.